Hi guys! 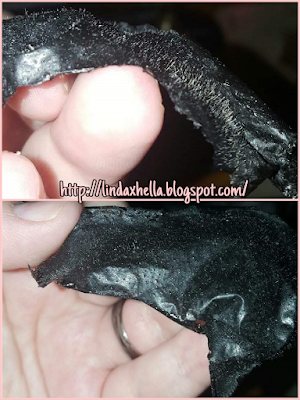 You know those black peel off face masks that everyone’s doing? Well I bought a tube of it from the app Wish. It was $2.00 for the mask and $1.00 shipping. I think that’s a great price, considering you can never be sure if you’re going to receive exactly what you order with apps like this. It honestly depends on the store on Wish that you buy from. I made sure they had good reviews before I bought it! I placed my order March 10th and received it in ten days! The packaging was a standard small gray plastic bag, the tube was in a box and then in bubble wrap. The packaging was nothing crazy, lol. Here’s a list of the claims on the packaging then I’ll discuss whether I felt which ones were true. Removes dulling surface cells and impurities. Vitamin and plant extracts soften the skin to restore a youthful glow. 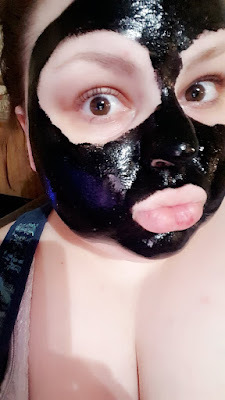 The mask were that it smelled nice and that it’s super thick! It definitely has a natural scent and it wasn’t overwhelming or sickeningly strong. I’ve got to agree that it does help soften and smooth out your skin. I haven’t had any breakout's or reactions to it, thankfully. I have acne prone, mildly sensitive skin. I figured I should mention that, so if you have a similar skin type, that might be helpful to you. Before I apply it, I make sure I scrub my face and leave a hot wash cloth on to open my pores! That’s for sure helpful when it comes to actually cleaning your pores out. Upon applying it, I noticed it was super sticky and thick Since the packaging doesn’t specify how much put on, I put on a medium thickness layer. If it’s too thin, it’ll separate in patches, which make it not work as well. Once it’s dry it definitely gets tight and pulls if you move your face as to be expected. If you have baby hair, it can be kind if painful. I personally am use to waxing so it doesn’t bother me. As far as pulling out black heads and gunk out of your pores, it definitely works! My boyfriend Anthony was nice enough to let me put some on his nose, I have the result pictures here. As you can see, this stuff works! He had showered and had been sitting about half an hour before I put it on him and it still worked so good! He is not the kind of man who takes care of his skin. He uses basic soap and water in the shower, doesn’t scrub his face or anything like that. We left on the mask for the recommended 20 minutes. 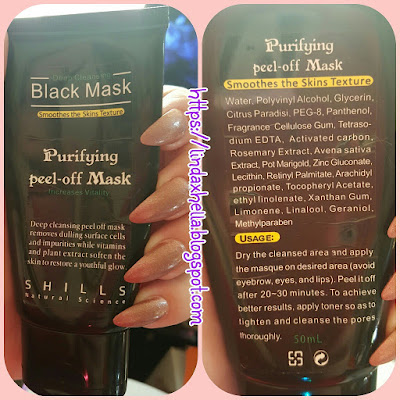 So as you can see, the Shills Natural Science; Deep Cleansing Black Mask is amazing. I only paid three dollars for it on Wish. I have done, between myself and my daughter's, at least six full masks and I have enough product to do it two or three more times. I will be ordering more soon! Thank you so much for taking time to check out this review. Feel free to share it on social media, that definitely helps me out!